MetaCanvas provides the simplicity of the Business Model Canvas with the power of a Business Plan. 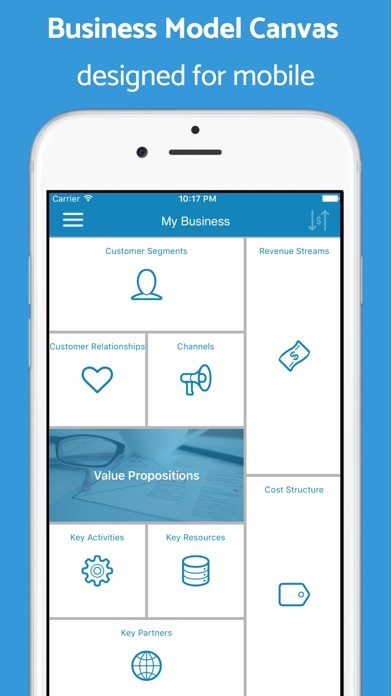 THE BUSINESS MODEL CANVAS REIMAGINED FOR MOBILE: The Business Model Canvas is becoming a de facto standard for brainstorming new business ideas. But, once you need to start validating them, a large canvas on paper isn’t the most practical tool to carry with you. Also, there is no clear path to go from a Business Model to a Financial plan. So, we adapted it to fit mobile devices and added new layers to help you go beyond design: > Financials: For helping you access your business model viability. > Goals: For keeping track of your ambitions. 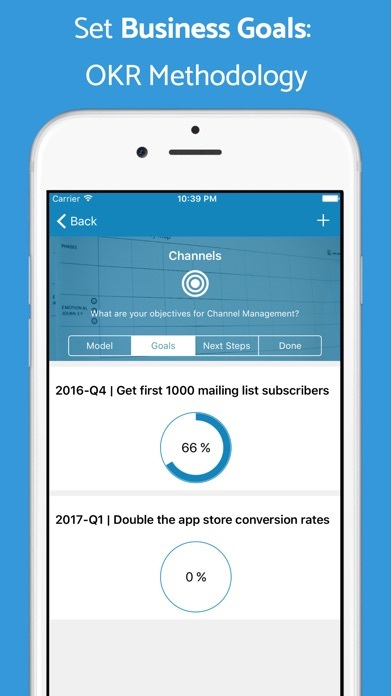 > Next Steps: For tracking what you need to do to reach your goals The app provides a practical way to organize your goals and tasks in each business model block. This will help you to keep focus on specific areas when working on a task or experiment. Also, it will be easier to see which parts of your business you are moving forward and what it's being left behind. DESIGN A BETTER BUSINESS MODEL: Add your "sticky notes" to the business model canvas and benefit from automatic charts that will provide better visuals for showcasing your business ideas to others. 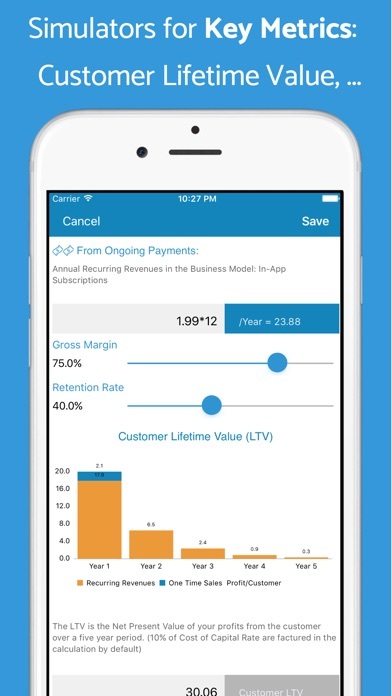 EVALUATE KEY METRICS: The built-in Customer Lifetime Value Simulator helps to understand the value of your customers and how much you can spend on customer acquisition to be sustainable. You can also generate Profit & Loss projections painlessly from you business model data to make a long term analysis of your margins. GET READY FOR ACTION: Achieve you most Important goals with the powerful OKR - Objectives and Key Results methodology, used by fast growing startups and companies. EXECUTE, THE AGILE WAY: Create lists of tasks to move your business forward or experiments to validate you business model assumptions. Reflect on the results and adapt your goals and business model, all with the same tool. TO DO WHAT YOU LOVE, YOU HAVE TO ACTUALLY START! We live in an amazing era. Technology like artificial intelligence, blockchain and crypto-currencies is disrupting current business models. Business model innovation is an imperative. 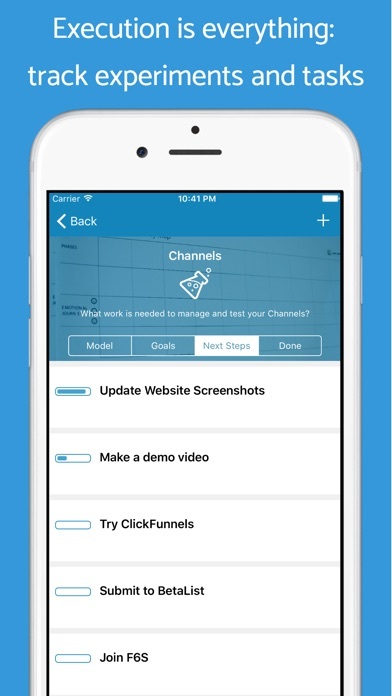 If you have the courage to build your business, instead of dreaming about it, this app is for you. 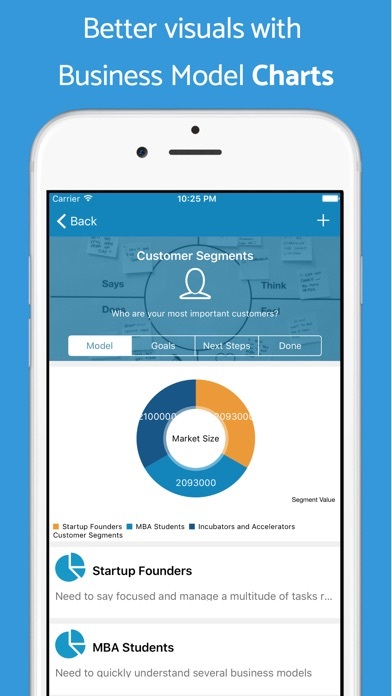 "The true entrepreneur is a doer, not a dreamer": Download MetaCanvas today, the app for agile entrepreneurs.